House of Deréon is a line of fashion introduced in 2004 by singer Beyoncé and her mother Tina Knowles. The style and concept is said to be inspired by three generations of women in their family, with the name "Deréon" paying tribute to Beyoncé's grandmother, Agnèz Deréon, a Louisiana Creole. The brand expanded in 2006 when Bey and her sister Solange launched the less expensive junior line Deréon; which was discontinued in 2012, facing complaints about the quality of the clothing and little girls modeling the brand being overly sexualized in ad's. Leftover stock can still be found in urban outlets like Rainbow and Cititrends. Nonetheless, the Deréon brand logo has been worn by many young women and some older across the nation. The logo bares the symbol of the fleur-de-lis (lily flower); a very prominent emblem to French society since as early as the 9th century. It has been long used as a symbol of French royalty and purity. In 1685, France's King Louis XIV passed a decree called "The Code Noir", literally "The Black Code". The decree defined the conditions of African slaves in French colonies; an entire bible of do's and don'ts. Two of which, for the sake of this article have to do with the symbol fleur-de-lis; the symbol Deréon used for its logo. "Article XVI. We also forbid slaves who belong to different masters from gathering, either during the day or at night, under the pretext of a wedding or other excuse, either at one of the master's houses or elsewhere, and especially not in major roads or isolated locations. They shall risk corporal punishment that shall not be less than the whip and the fleur de lys, and for frequent recidivists and in other aggravating circumstances, they may be punished with death. . . ."
The second is more specific as to the use of the fleur-de-lis. "Article XXXVIII. The fugitive slave who has been on the run for one month from the day his master reported him to the police, shall have his ears cut off and shall be branded with a fleur de lys on one shoulder. If he commits the same infraction for another month, again counting from the day he is reported, he shall have his hamstring cut and be branded with a fleur de lys on the other shoulder. The third time, he shall be put to death." So, outside of the fleur-de-lis being an emblem of French royalty, it was also used to brand their property as a form of proof of ownership. Slave catchers would know that a particular runaway belonged to the French. Another point of interest is the parent company House of Deréon's logo; it uses a symbol called an aigu, which is a French accent marker for pronunciating certain letters in a word. A closer look at the symbol though; while placing it beside the Deréon logo, reveals that it is just a single segment of the same logo; but even more shocking is how closely this symbol resembles an ear. Runaway slaves had their ears cut off and they were branded with the fleur-de-lis. House of Deréon's logo may represent the ear of a runaway slave; while Deréon's logo may represent the fire branding of the fleur-de-lis. 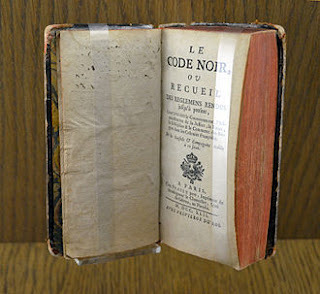 The Black Code was reintroduced as "Louisiana's Code Noir", in 1724 in Louisiana where Beyonce's grandmother was born. The code stayed in effect until the U.S. took possession of the state in 1803. 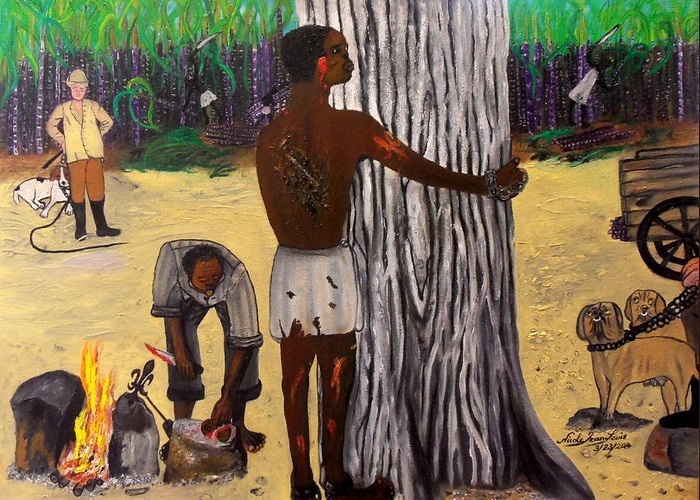 Many of the Creole-speaking blacks of Texas and Louisiana today are descendants of those slaves owned by the French. 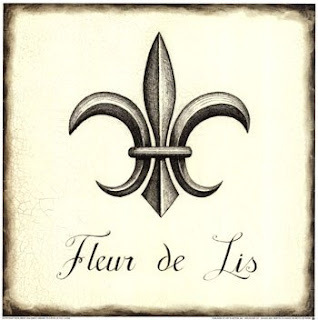 The fleur-de-lis also has an ancient history that predates France. This symbol has been found all over Ancient Egypt, Pre-Colombian America, and India. It's associated with enlightenment, divinity, and the tree of life. It also is associated with Christ, his virgin mother Mary, and the Holy Trinity. Since Mary gave a virgin birth it represents purity. This symbol is always depicted in an upright fashion usually sitting on top of a crown or the top of a head insinuating a divine connection. Take note that Deréon's logo is upside down. This is the equivalent of turning Christ's Cross upside down on its head; a practice associated with Satanism. 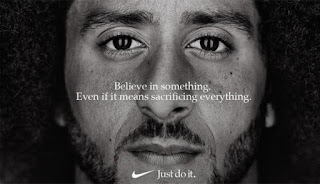 Turning a symbol of divinity upside down disregards everything that symbol stands for.